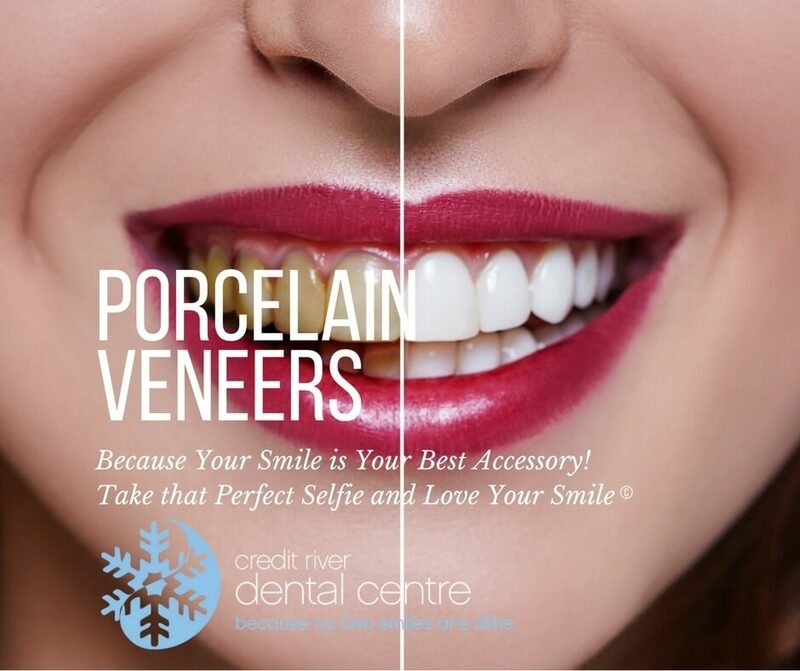 One of the best and certainly the most beautiful treatment options available to cosmetic dentistry is porcelain veneers and a cosmetic solution that Credit River Dental Centre in Mississauga is very happy to offer our patients. Porcelain veneers are beautiful custom-made porcelain laminates that are permanently bonded to teeth much like artificial fingernails are placed over your existing nails. Veneers can seamlessly hide broken, chipped, stained, gapped or crooked teeth. Not only are porcelain veneers an extremely conservative treatment choice but they are also a very durable cosmetic dentistry solution and have the potential to last a lifetime! They are also highly resistant to staining and chipping. Many celebrities and models seeking to improve their appearances through cosmetic dentistry achieve their gorgeous smiles with porcelain veneers and it can be done for you right here in Port Credit, Mississauga! You can read more about veneers here. Another very beautiful cosmetic dentistry option available is Dental Bonding. Dental bonding can be an effective cosmetic dentistry procedure for you if you have noticed any of these problems with your smile. Because the bonding procedure takes less time and is in most cases less invasive, some patients prefer dental bonding over dental veneers or crowns. 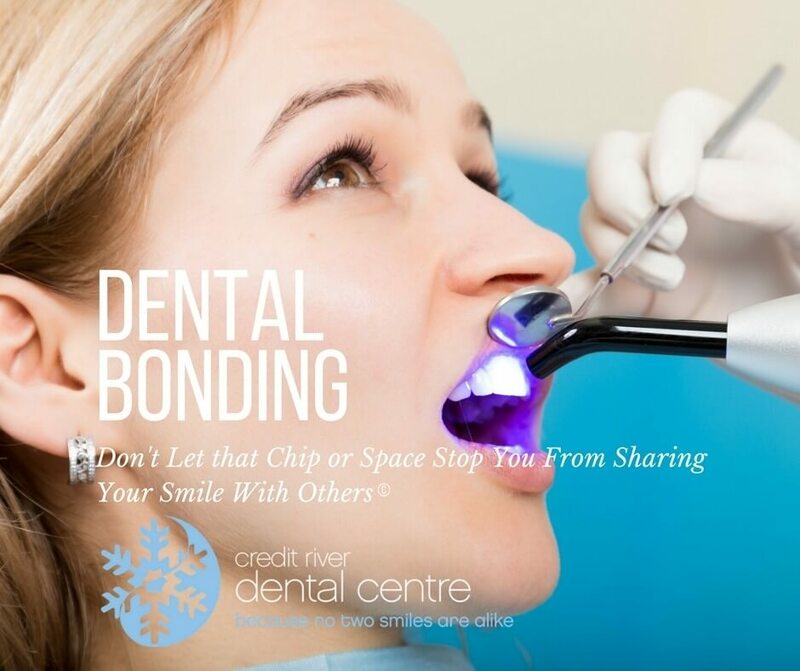 Learn more about what Dental Bonding can do for you: Read more about bonding here. Are you unhappy with your smile because of dull and discoloured teeth? The stained and discoloured teeth can be caused by a number of factors including the types of food and beverages consumed, smoking habits, age, injury, and medications. Years of drinking wine, coffee and soda can often result in stained teeth. Cosmetic dentistry can also improve the appearance of your teeth and smile through tooth whitening. The tooth whitening process can help you regain a brighter and whiter smile. Even teeth that are yellow due to smoking can be whitened by this process! 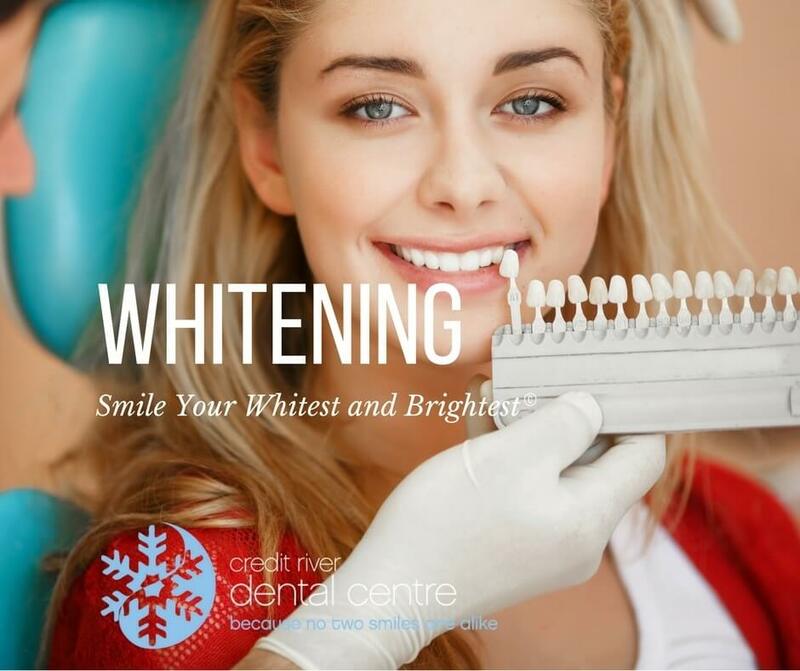 Here at Credit River Dental Centre we are one of only a few offices in Mississauga that uses the SPADENT Whitening system which is a quick and sensitivity free in-office whitening system. This system provides sensational results, and in some cases teeth that are up to eight shades whiter! You can read more about whitening here.